Note: This document now contains all information about custom patches that was previously available in User's Guide. Two years have passed since first patches for TR4 engine appeared on the Net. Almost every month something completely new is discovered, and it's very hard to handle all these new options with just recompiling one utility over and over again. If you will look at TREP's history, you will see that in the middle of 2006, new versions were released almost every week. The reason for such extremely frequent updates is continous researching of TR4 engine by numerous people around the world. That is, in the past, every new option was hardly integrated into TREP's code and there was no possibility for altering patching routines and adding new patches without recompiling main TREP's executable. That is the reasons why DRACO called Dynamically-ReplaceAble Code Organizer — it allows you to add, delete, turn on, turn off, modify and change all custom patches. 2.: HOW TO USE CUSTOM PATCHES? On the left side is the patch list. You can enable or disable any patches that you need or not need. Note that when you're selecting any patch, right side of the window will change. Right side is the patch info box, and it may contain useful info about patch, like patch's name, description and so on. Also, if selected patch allows you to modify some dynamic parameters, you will see extra description and text field in the bottom side of info box. Patch's title colored in red! — you should turn on «Extend tomb4.exe size» option in main TREP window. — you should turn on «Remap particle buffer» option in main TREP window. 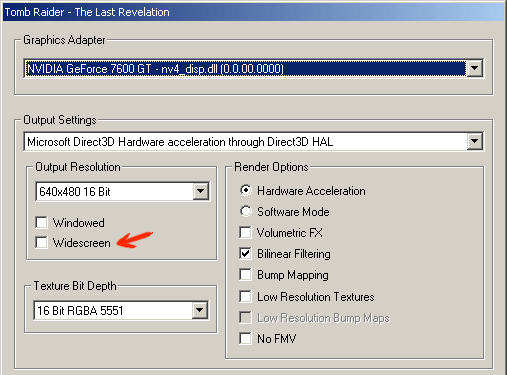 — you should turn on «Remap scene memory» option in main TREP window. — you should turn on «Enable advanced savegame management» option in main TREP window. — you should activate some extra custom patches to make current custom patch work. Simply click onto this icon, and you'll see a list of required custom patches. load set: loads predefined patch set (file that contains info about patches and patInch data). 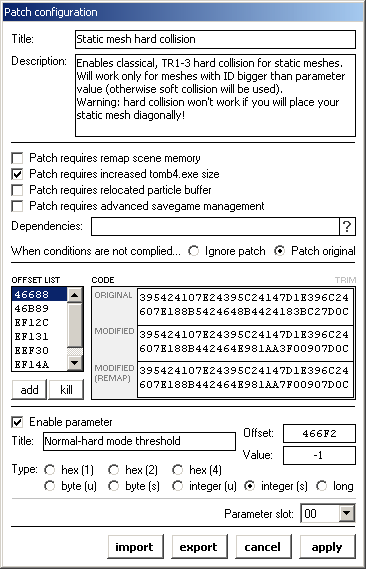 save set: if you've edited/created some patch (to learn more about this, refer to Custom Patch Reference bundled with TREP), you can save patch set here. defaults: will reset all patches to disabled state and also reset all patch parameters to default value. proceed: close DRACO custom patches module and return to main TREP window. Search function: DRACO module have built-in search function. You can use it if you have too many patches in the list and want to jump to specific patch. To use search, simply type some expression into search textbox under custom patch list and press ENTER or click small magnifier icon on the left. If there are any patches with desired expression in their name, you will be immediately pointed to nearby matching patch. Each time you'll press ENTER or click magnifier icon, you'll be redirected to next matching patch, and if there are no any patches that can match your criteria left, you'll see [sequence not found] message. To begin search from the beginning, press small rounded arrow icon once. Can you understand why ammo counter was removed from TR4-TR5 engines? No one knows. But now... Prepare... AMMO COUNTER IS BACK! With improvements! Now ammo counter have two modes — normal and critical, just like HP or AP bar! You can set font effect ID for each mode (for ex., you can create red critical ammo counter and yellow normal ammo counter), and also ammo value threshold between these two modes! 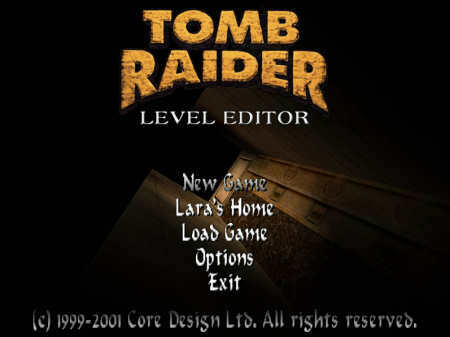 TR4 engine definetly isn't TR: Legend engine. It allows us to use only FIVE ropes in each level. If you will try to use more than 5 ropes, level will immediately crash, even if you have no any other objects in your level. So this patch will relocate rope buffer, and you will be able to use up to 30 ropes. BUG WARNING: TR4 engine contains really nasty bug which locks-up pushable and denies to push/pull it and also messes up floor collision data. When Lara grabs a block in preparation to push/pull it, you can VERY QUICKLY push forward or backward key and then IMMEDIATELY unpush both action and direction key. 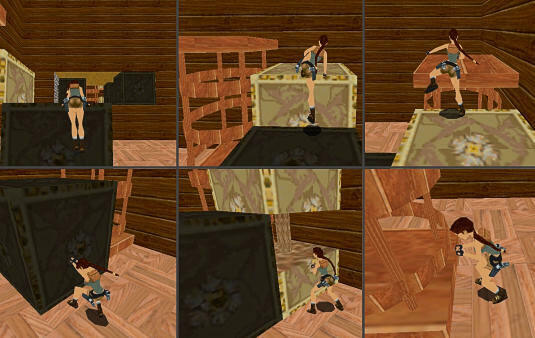 In about 2/3 of all cases, Lara won't push/pull block, and it will occasionally «lock up» and Lara won't be able to push pull it. Also, if you've activated climbable pushable patch, it will result in messing up floor collision data. Unfortunately, the nature of this bug is very well integrated into code, so it's not possible to fix it now. This fancy move never was introduced in PC versions of TR4 and TR5, despite the fact that all revised TR4 wads contain this animation sequence (number 218-219-220) and it's possible to use this trick on PlayStation versions. Anyway, now you can use this move by pressing SPRINT key when Lara is in duck stand state. Also note that you can use pistols, uzis and revolver with this move, so it's now possible to shoot when moving in crouch position. Nifty patch that will allow you to see current auto-targeted enemy's overall and start-up HP, as well as his name. Note that when some enemy will pick up medkit (like first Baddy 1 in TUT1 level), his HP will indeed increase, and if you'll shoot him with poisoned crossbow bolt, his HP will continously decrease! So this way you now can trace each enemy's HP, which makes gameplay more informative and allows you to use more strategic approach when fighting enemies. 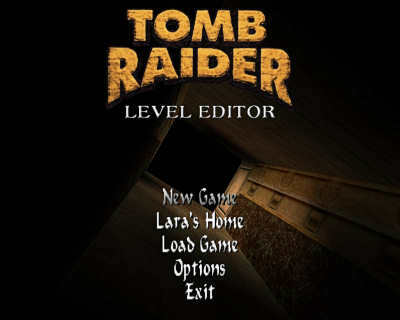 You must note that «Lara's Home» text is taken from STRINGS2.TXT file, not from SCRIPT.TXT or ENGLISH.TXT! It is very sad that Tomo has stopped any work on TR4 engine patches. I continue to wonder how he managed to import TR5's weather code into TR4 engine, because it should be very difficult and time-consuming to search and compare all constants, addresses etc. in both engines. As for me, i've never succeeded in this job, no matter how i tried. So, as with previous patch, all main code was directly translated from Tomo's executable into DRACO patch module. Indeed, there are few improvements and optimizations in this version. First of all, now you can get rid of oval-shaped snow bug and see normal TR5-like snow. Second, rain was too faint and hard to see before, but now it is looking like TR5-rain. Third — you now can use BOTH rain and snow AT THE SAME TIME! And another bug is fixed, which prevented rain and snow from using in title flybys and occasionally crashed game during certain level jumps. WARNING 2: Another serious problem with this patch is that it drastically slows down some systems. As above, no solution is available for now. 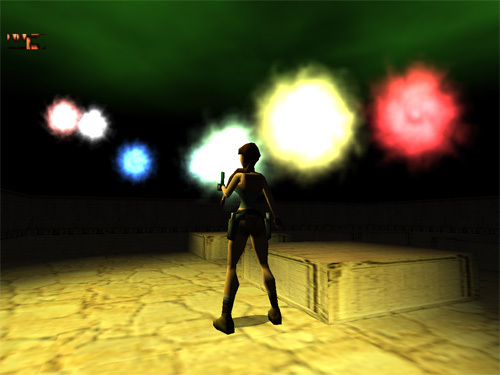 For some reason, TR4 engine lacks beautiful flare particle effects that were available in TR3. This patch turns on TR3-like fiery flare again. Remember that you will also get burning flare sound (which changes pitch and volume depending on game situation — for ex., you won't hear a sound, if flare is placed underwater, when you're not) and underwater bubbles (i. e. flares will emit bubbles when underwater). The origin of this patch is a very old TR4 demo, which inherits some features of TR3. For some reason, in this demo, flare emitted particles only when it was thrown on the floor, but not when Lara was holding it in her hand. Indeed, this patch revives flare particles not only for separate flare objects, but for in-hand flares too! Also, unlike ANY versions of ANY old Tomb Raider games, this shadow will gradually disappear, if Lara's vertical position increases in relation to the floor. In other words, shadow will become less noticeable, if Lara is jumping or hanging on a ledge, and it will completely disappear at the distance about 3 squares from the floor. Indeed, it will immediately reappear, if distance between Lara and the floor decreases. Shadow darkness: shadow's overall blackness. Higher values will give darker shadow. Value of 255 will create pitch-black shadow, and value of 0 will remove shadow completely. Vertical position: shadow's position in relation to floor. By default it's set a bit higher than floor itself (value of -16), because setting shadow's position at the same height as floor (i. e. value of 0) will produce Z-fighting problems (simply said, shadow will «flicker» on sloped surfaces). Title autoplay demos amount: changes amount of autoplay demos in title screen. Font effect parameters set different font effects for different demo player / recorder labels. 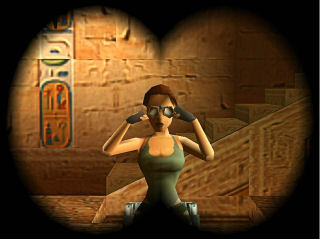 Meshswap object ID: changes meshswap object that becomes active when Lara is looking through binoculars. 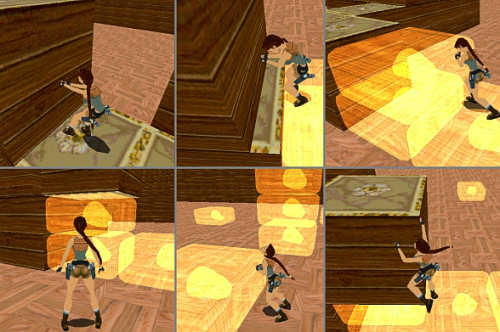 TR4 engine uses quite simple method of rendering Lara's reflection. 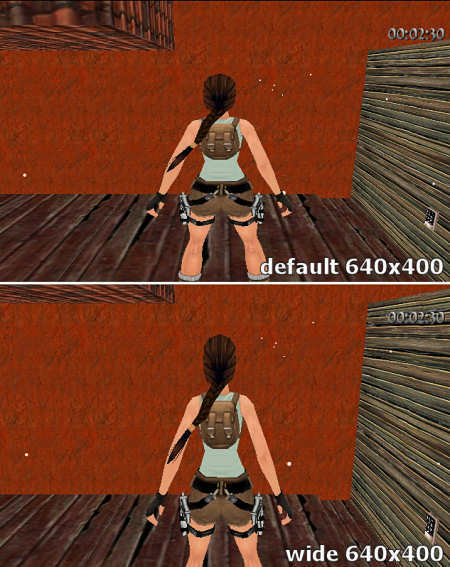 It copies all main Lara parameters (like corrdinates, rotation, animation number etc. ), processes them in a way that reflection moves properly, and then draws second Lara model, plus executes some secondary effects. For some reason, Core used only one mirror for single level, despite the fact that reflection drawing can be repeated infinitely. This patch modifies mirror drawing, so actually game will now be able to render up to 20 different Lara reflections in single level. It overwrites classic SCRIPT.TXT mirror settings completely, now all mirror parameters are placed in extended SCRIPT2.TXT file. Read eSSe reference to learn these new mirror parameters. However, it is NOT recommended to place multiple reflections in the same room, because then you may experience various minor glitches (for example, gunflash may disappear in one of the reflections). Vertical reflections include floor and ceiling reflections. 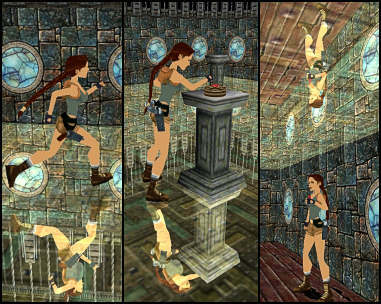 Vertical mirrors are almost the same thing as horizontal mirrors, except that their code processes slightly different parameters, so it looks like Lara is not mirrored horizontally, but vertically. Scripting of vertical mirrors is similar to scripting of horizontal mirrors, but coordinate parameter sets vertical reflection plane position. If reflection plane is equal or larger than Lara's position, then reflection will be rendered UNDER Lara, and if reflection plane is less than Lara's position, it will be rendered ABOVE Lara. Mind that when creating floor and ceiling reflections. 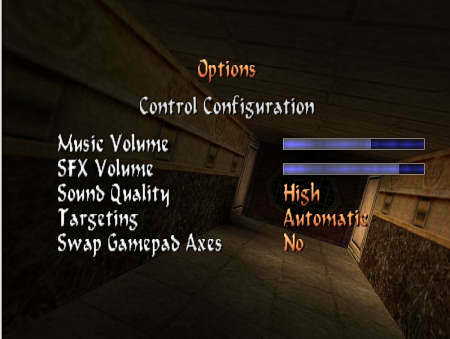 Old Tomb Raider games were optimized for gamepad controllers by nature, since primary platform for TR1-TR5 was PlayStation console. So, in my opinion, the best choice is to play custom levels with some decent gamepad with two analog sticks. Unfortunately, TR4 was developed at a times when dual-stick gamepads were rare, so it doesn't support right stick controls. If you look at newest TR games, like Legend or Anniversary, you will see that right stick is used to rotate camera around Lara. This may come in handy in some circumstances — if you want to take good screenshot, check out what happens behind you, or simply to get a better control response. This patch turns on right analog stick on most of dual-stick gamepads, so it will be used to rotate camera, just like in Anniversary or Legend. 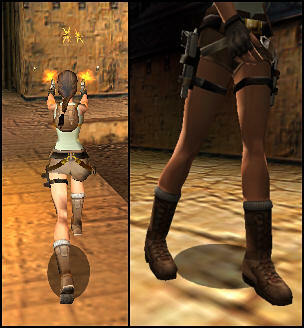 Only major difference is Lara won't change her direction according to camera rotation. 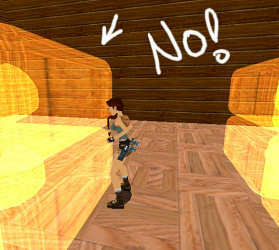 To restore default camera position (i. e. behind Lara), simply press LOOK button for one moment — then position will be immediately restored to default. Also note that this patch requires eSSe extended strings file, because text labels for this new option are taken from STRINGS2.TXT file. Dead zone: changes right stick's deadzone. You can set it higher, so poorly calibrated or malfunctioning gamepads won't accidentally rotate camera. It is set to 4 by default, which should be enough for most devices. Again, as seen in TR3, enables cold breath functionality. To make it work, you can either set «Cold» room flag in NGLE or type ColdBreath= ENABLED for corresponding level in SCRIPT2.TXT. In other words, you have two methods to do it: first — enable cold breath for specific rooms in NGLE, or second — enable cold breath for whole level with SCRIPT2.TXT. NGLE users will find first method more flexible, but in case you're using DXTre3D or simply don't want to tick Cold button for each room in your project, you can use second method. Remember that there is no need to set ColdBreath parameter, if you're using Cold flags in NGLE and, on contrary, there is no need to use such flags if you're using ColdBreath parameter. Also note that cold breath is synchronized differently with 4 standing animations (103, 110, 222 and 263). If you're using default animations, leave these settings intact. But if you've modified one of these standing animations, you must set cold breath start frame manually, so it will synchronize with actual Lara movement. As for all other animations... Well, there is a little surprise for you: unlike TR3, breathing speed will depend on how fast Lara is moving! So it will look like Lara is breathing faster when, for example, she is sprinting or running, and she will breath very slowly when she's hanging on a ledge or walking. Animation 103 start frame: modifies cold breath effect start frame for animation 103 (standing still). Animation 110 start frame: modifies cold breath effect start frame for animation 110 (surfacing water). Animation 222 start frame: modifies cold breath effect start frame for animation 222 (duck). Animation 263 start frame: modifies cold breath effect start frame for animation 263 (on all fours). General cycle length: modifies breathing cycle length for all other animations. General cycle start frame: changes breathing effect start frame for general breathing cycle. Bypasses synchronization of cold breath effect with standing animation. Can be useful if you have VERY LONG custom standing animation. OGG format allows gapless looped playback, which means that there will be no ugly gap on looped track replay any more, so you can have Legend-like infinite musics and ambiences. OGG format uses one of the best audio compression algotithms, much better than MP3. You can create very small files with decent sound quality. Since OGG format is played directly by TR4 engine, there is no need in inbetween audio conversions. In other words — no more start_me.exe is needed. Looped and non-looped audiotracks are played in two different streams. In simple words, it means that ambience loops will play without interruptions, because all other music themes will be played in parallel stream (i. e. you will hear both ambience and music tracks playing at the same moment!). There are now smooth transitions, when game is switching between two looped tracks. You don't need to fade-out your loop ambience tracks in sound editor anymore, because all fade-ins and fade-outs will be processed by BASS library itself. Also it adds more atmospheric feel to your level, because tracks can fade into each other very slowly, leaving no rude edge between indoor and outdoor zones. There will be smooth audiotrack fadeout when you're loading new level. When Lara is dead, both audiotracks will stop with fancy «dying turntables» slow-down effect and fadeout. You may set-up looped audiotrack damping, so looped track will be temporarily silenced (partly or fully) if non-looped track is also playing. Very first looped track in a level starts with a one-shot fade-in, so you can have «infinite» ambience loop with automatic start-up fade-in. WARNING: To use this patch, you must download BASS library package and then put bass.dll file from this archive to the same directory as tomb4.exe, or else game won't work! WARNING 2: before using this patch, make sure there is NO .wav files in your /audio folder, or else TR4 will still play old .wav files and ignore .ogg files! Prev looped track fadeout time: sets time (in milliseconds) to fade-out previous looped track (when looped tracks are switching). Next looped track fade-in time: sets time (in milliseconds) to fade-in forthcoming looped track (when looped tracks are switching). Looped track loading fadeout time: sets time (in milliseconds) to fade-out looped track on next level loading. Non-looped track loading fadeout time: sets time (in milliseconds) to fade-out non-looped track on next level loading. Looped extension hex string: if you want this patch to play looped .mp3 files instead of .ogg files (yeah, you can use MP3 or OGG formats), set it to 2E6F6767. Non-looped extension hex string: if you want this patch to play non-looped .mp3 files instead of .ogg files, set it to 2E6F6767 too. Looped track damping fadeout time: time (in milliseconds) to fade-out looped track after non-looped track playback is initiated. Looped track damping fadeout volume: damping volume. Maximum is 100 (looped track will be comptetely silenced), minimum is 0 (no damping at all). Looped track damping fade-in time: time (in milliseconds) to fade-in looped track back again (after non-looped track playback is finished). On-death looped fadeout time: time (in milliseconds) to fadeout and slow-down looped track in case Lara is dead. On-death non-looped fadeout time: time (in milliseconds) to fadeout and slow-down non-looped track in case Lara is dead. Looped level start-up fade-in time: time (in milliseconds) to fade-in very first looped track in each level. This patch will give you something else. Instead of screen-capturing, it pauses in-game renderer, but everything remains on screen. Benefits — of course, no more striped inventory bug, plus inventory background will be rendered in SAME resolution as current screen resolution! Also you'll get nice colour tint fade-in, like in PlayStation versions of the game. Blue / Red / Green colour tint: changes overall background colour character. Blue / Red / Green tint fade-in speed: changes the speed of each tint colour fade-in speed. With this patch you can freely change both old (1-ponytail) and young (2-ponytail) Lara's hair position! Theoretically it allows you to create new outfits with different haircuts and hair placement. Adult Lara's X / Y / Z position: changes adult Lara's ponytail X / Y / Z position. Young Lara's (left) X / Y / Z position: changes young Lara's left ponytail X / Y / Z position. Young Lara's (right) X / Y / Z position: changes young Lara's right ponytail X / Y / Z position. Allows you to use abandoned SECRET_MAP slot for universal textbox object, that will generate specific event, when Lara will press ACTION key in object activation zone. In simple words, if you've played any of Resident Evil (or any other CAPCOM) games, you know that usually, when you're pressing ACTION key nearby some suspicious object, game will return some text comment, like «It's too dark to see outside the window» or «It is the painting of an old man» or «Some weird experiments were done here...», and so on. So, with SECRET_MAP object you now can create absolutely the same thing! Literally, you can turn whole TR game into text quest, because you can place LOTS of SECRET_MAP objects in your level with different text strings assigned to them! 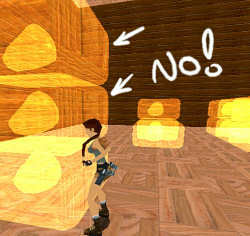 Moreover, when Lara approaches this object's interaction zone, it will produce neat tooltip message in the bottom right part of the screen. Text of this tooltip may change, depending on OCB you've set (see below). There are, however, few complications that you must keep in mind when using SECRET_MAP object. OCB codes from 0 to 9999 sets number of STRINGS2.TXT to show, when Lara presses ACTION nearby corresponding SECRET_MAP object. For ex., if you have SECRET_MAP object with OCB 15, it will show string number 16 (because OCB 0 goes for string number 1) from STRINGS2.TXT. Text will show in the bottom part of game screen. OCB + 10000 will produce same result as above, but text will show in the center part of the screen. It may be useful if you want to mark importance of your text, or simply if your large text can't fit bottom part of the screen. OCB + 20000 will produce same result as (1), but you will see «ACTION — talk» item tooltip instead of default «ACTION — examine» tooltip. It may be very useful, if you're using SECRET_MAP objects not only for item interaction, but also for NPC talks. 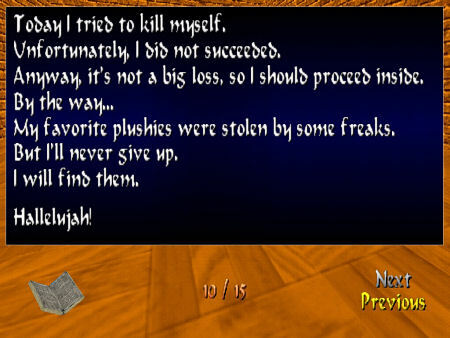 This way you can also place some static NPCs in your game with SECRET_MAP objects around them, and it will show you proper tooltip message (because it will look odd if game will produce «examine» message with living people, no?). OCB + 30000 will produce same result as (2), but with same difference as in (3). Negative OCB will produce absolutely different effect. Any negative OCB will result in call-back of corresponding custom flipeffect set in Flipeffect Editor. 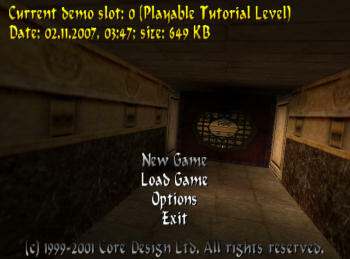 For example, SECRET_MAP object with OCB -52 will immediately execute flipeffect number 52, if Lara will appear in its activation zone and player will press ACTION. This way you can create some unique interaction zones or objects with different functions (like health chargers, item givers, item activators, level loaders, video / audio players etc.)! Note that flipeffect activated by any SECRET_MAP object won't stop any general flipeffect that is currently activated. More info about this patch's functionality is given in these forum messages: one, two. Modifies WATERFALL_MIST object using standard OCB field. With this patch, you can create mist objects of ANY size and various colours. 2003 — creates medium-sized sky-blue mist. Note that this patch overwrites GFX Customizer's waterfall mist colour and size options, but it DOESN'T overwrite density and amount settings, because I've ran out of OCB capacity (there is way to pack more parameters into OCB, like Core design did, but I suppose no one want to hurt themselves with calculating hexcodes). Amber Light object, along with Blinking Light object, is very popular in TR level building, because these two objects are only dynamic lights in our beloved TR4 engine. But what's the use of it, if you can't customize it?! So now, prepare for REAL DISCO!!! You can freely change light's fading interval, size (radius) and, of course, colour! Imagine dark room with all types of dynamic lights turned on simultaneously... Create dancefloors, alarms of any kind, faint CRT screens blinking, underwater glow, and many more — all with only one simple OCB. 02031 — create medium-sized green light which blinks a bit faster than classic amber light.